Little River is believed to be the first European settlement in Horry County dating back to the late 17th century and early 18th century. Farmers and fishermen who settled the area found the shores and water very fertile. The protection of the inlet enticed pirates and smugglers in the 18th century and later bootleggers during prohibition. 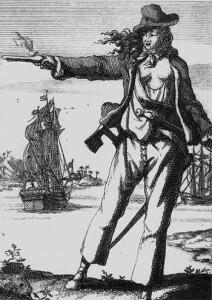 Pirates rumored to have used Little River to hide out include William Kidd, Edward (Blackbeard) Teach, and Anne Bonney. I live in Little River, and today while putting together a demographics report on North Myrtle Beach, I found this information in a draft paper on the Historical Resources of the Grand Strand from the City of North Myrtle Beach. I can’t validate it’s truthfulness (no primary sources cited), but it sounds cool! I also live in Little River, and love the rich history of our centuries-old village!